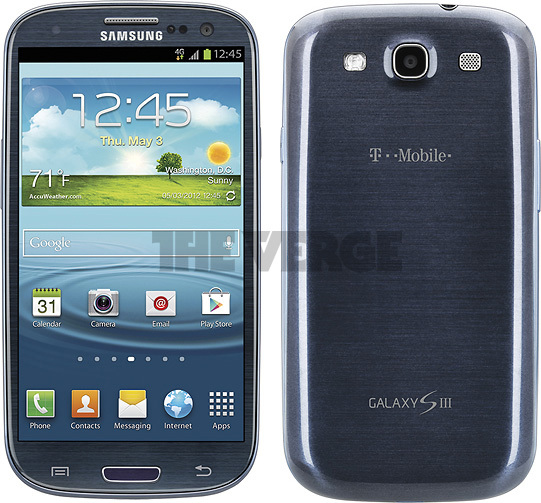 Purported Images of T-Mobile’s Galaxy SIII Appear, Physical Home Button Included in U.S. Variants? 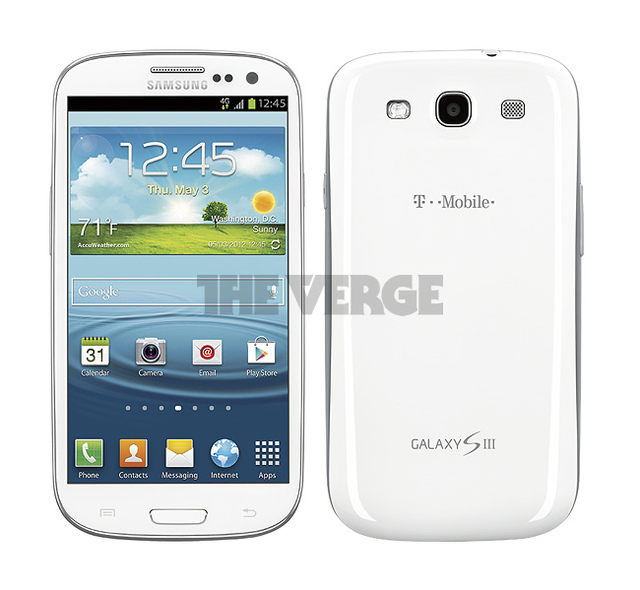 The crew at The Verge received what they believe to be press images of T-Mobile’s Galaxy SIII variant. As you’ll notice immediately, the phone includes the dedicated home button that U.S. carriers have forced Samsung to abandon in the past. With the Galaxy S and SII, we saw carriers in the States drop the middle button in favor of a 4-button (back/home/search/menu) approach, so this is surprising to say the least.